(Redlands, CA) Once upon a time, if a family wanted to build a home, everyone in the community would welcome its new neighbors by pitching in and helping. The home would quickly rise up from the ground, and the grateful new residents of this community would show their gratitude by becoming productive citizens who, in turn, helped other neighbors. Today, an organization called Habitat for Humanity provides that same kind of help; by organizing community volunteers to help deserving low-income families who as an example make up to $50,950 a year for a family of four build their first home. It isn’t quite as simple though as it was “once upon a time.” For one thing, in the 21st Century, there are a myriad of law governing how people build houses, and there are permits that must be obtained from several local government agencies. It also takes a great deal of skill and knowledge to put together the type of home in which a modern family would feel comfortable. To make all of that happen a professional construction manager is essential. At Habitat for Humanity, San Bernardino Area, this construction manager is licensed general contractor Tim Garcia. 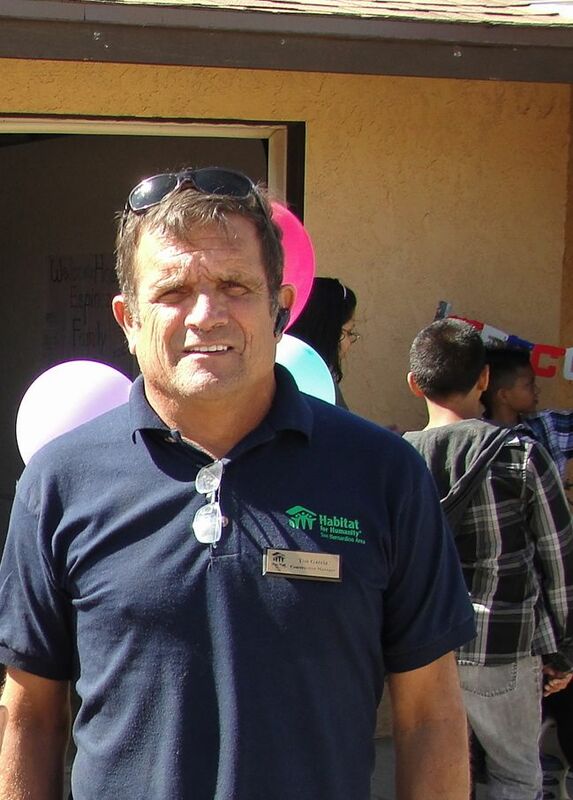 Garcia has had a relationship with Habitat for Humanity of San Bernardino almost since it began. This connection started at the First Presbyterian Church of San Bernardino, where Garcia and Habitat for Humanity of San Bernardino chapter founder, San Bernardino Mayor Patrick Morris, both attend. 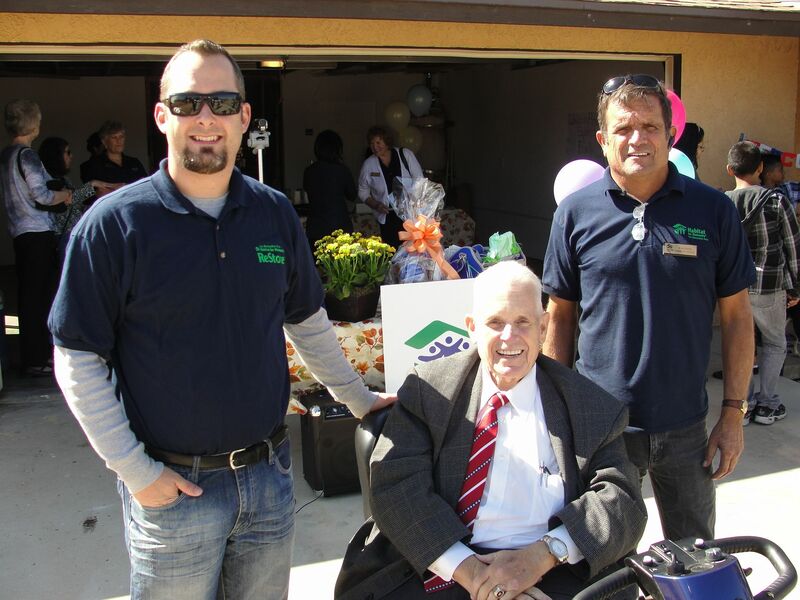 Mayor Morris started the local Habitat chapter in 1992 after working with one of the international organization’s most famous volunteers, former United States President Jimmy Carter. At the beginning, the Mayor’s church got on board by sending teams of volunteers to Habitat for Humanity’s building projects. Two years later, Garcia signed up for one of those teams, and thoroughly enjoyed this service. Not only did he volunteer many times after that, he also served as a member of the Board of Directors from 1999-2001 and as resident from 2001–2002. He enjoyed his contributions to Habitat for Humanity hence since 2004; Garcia has been a part-time employee of Habitat for Humanity, serving as its construction manager. Garcia also has a full-time job managing his own business, Inland Construction, which provides remodeling and building services to the general public. He has been a licensed general contractor since 2003, and worked in construction for a decade before. Habitat for Humanity has thousands of chapters throughout the world, including 15 in southern California. The San Bernardino chapter, established in 1992 by current San Bernardino Mayor Patrick Morris, serves most of San Bernardino County. Its territory extends from Fontana to Yucaipa, and north to the desert and Victor Valley areas. Garcia is a long time resident of San Bernardino and the son of community leaders and philanthropists Ernie and Dottie Garcia. All Habitat for Humanity organizations acquire either vacant land or dilapidated homes. From these, Habitat creates quality homes, and provides financial assistance to carefully selected families who will receive these homes when they are complete. The families contribution includes 500 hours of sweat equity in the Habitat for Humanity projects, pay zero interest and pay monthly mortgages of about $500 to $700 a month. The adults in these families work with Habitat for Humanity staff and community volunteers to construct the homes, although the projects are managed and supervised by licensed general contractors. Since it has volunteer labor, and often uses donated supplies, it constructs homes for less cost than typical construction. Habitat for Humanity has plans to build seven homes in San Bernardino and Grand Terrace for families that as an example make up to $50,950 for a family of four. To donate, volunteer or for more information, go online to www.habitatsb.org, or call Habitat for Humanity at (909) 478-1176. Habitat for Humanity San Bernardino Area serves San Bernardino County communities between Fontana and Yucaipa, as well as the Mountain Communities of Running Springs, Lake Arrowhead, and Crestline, and the Upper Desert towns of Hesperia, Apple Valley and Victorville.